Any seasoned car-buyer knows that negotiation and haggling come with buying or leasing a new car. This isn't something that everyone is good at, especially when they're up against a skilled and convincing salesperson. When you're trying to haggle, it's still possible to lose the negotiation and somehow go home with an expensive car that we just can't afford. So, how do we get a new and affordable vehicle without having to fight the salesperson for it? And which car finance option is right for you? 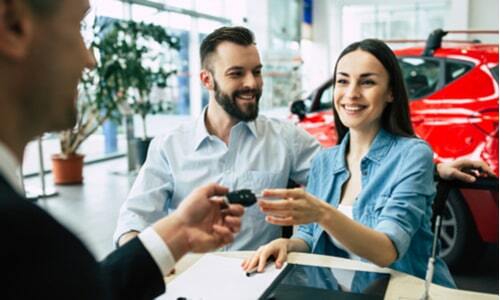 From no-haggle lots to online car shopping, if your finances have you researching "title loans near me", here are some different ways to buy a car without breaking the bank. Although negotiation is something that we do not want to do, sometimes it is necessary. If you cannot afford the car that you want, haggling is hard to avoid. So, is there a way to do this, without having to do it yourself? The good news? There is. You can hire car brokers/concierges. Their sole job is to do all of the hard work for you, for a small fee. They will not only negotiate the price of the car, but they will also negotiate warranty and added fees as well. These concierges will even have the car delivered to your doorstep with a contract for you to sign. You may be thinking, what is the difference between a concierge and a car broker? Typically, car brokers do not charge you a fee. Rather, they receive a commission from the car dealership in which they help you purchase the car from. Because of this, you need to be cautious of which broker you decide to work with. Since they are working for the dealership, they will sometimes accept a higher price than you would have yourself. You can prevent this by doing your research and making sure you're in good hands and have positive reviews from people that have worked with them in the past. This is the reason that going with a concierge may be a better option. Concierges do not work for the dealership, so they may be more inclined to get the price as low as they possibly can. They do charge a fee, however. This fee is based on the price of the vehicle. Best for the consumer who: do not want to haggle or negotiate, but also does not mind paying added fees or costs. As much as you do not want to haggle, dealers most likely do not want to as well. What is a sure-fire way to avoid this negotiation? With a little research, you may be able to find no-haggle lots. These are lots that promise their consumers they will not haggle, and that they will offer the price listed. One of the main used car dealers that offer this option is CarMax. This used car lot is owned by Nationwide. They also have a website and app in which you can search through their current vehicles and price options. Although your ideal car may take a little bit of work to find, a non-haggle car dealership is perfect for you if you are don't like negotiating. As we’ve said with car brokers, you should be sure to look into reviews for these dealers. Research the location before purchasing a vehicle. It is also wise to make sure you look at how much cars are worth, before going to a used car lot. Best for the consumer who: do not want to haggle, and wants a speedy and promising process. Are you addicted to shopping online and absolutely hate having to go to the store for hours on end to find what you’re looking for? If so, this is a great option for you. With the growth in technology over the past decade, you can pretty much buy anything on the internet…including your car. This for obvious reasons, will help you avoid haggling because you do not actually have to deal with a salesperson at all. Some of the most popular up-and-coming websites that offer this feature are Carvana, Vroom, and Shift. So, how do these online car shopping sites work? First, you go onto the site or app and take a look through their inventory. You are able to use filters to narrow down your search to exactly what you are looking for. If you do not know what you would like, you can just search randomly through the cars that they have available in your area. Once you see the car that you are interested in, you then have to figure out the financing. You will have car finance options that you can look through until you find what will work best for you. 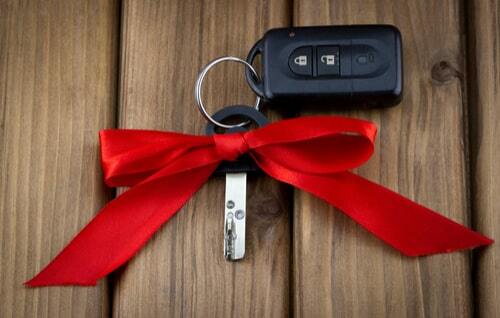 Once you finally have chosen your car and planned your financing, you're pretty much done. The car can be picked up, or delivered right to your door. You may be asking, what’s the catch? There is usually always a catch. Well, since this feature and technology is fairly new, it isn't offered everywhere just yet. Your best bet is to search the internet for sites that offer online car shopping to see what is available in your area. Also, inventory can be limited and you may not find exactly what you are looking for in terms of vehicle or pricing. The final thing that you need to be aware of is the fact that there may be a delivery fee attached if you would like the car to be dropped off at your home. If you want to avoid this, you may want to see if the car is available to be picked up. 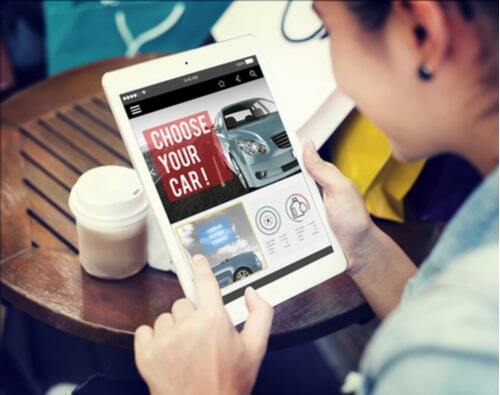 Although it may seem like there are a lot of “catches” for online car buying, you have to think of the biggest plus: you don't even have to leave the house (or your couch for that matter). Best for the consumer who: does not want to go to the dealership, or leave their home. One of the main reasons that people negotiate is because they may not be able to afford the original price of their dream car. You may be overwhelmed with all of this information and not know where to begin, but that doesn't mean you shouldn't try! If you're having trouble affording your new car, but still have an old car that is completely paid off, you may want to take out a title loan as a car finance option. Rather than trading your car in for a newer model, a title loan is a loan that is given to you based off of the worth of your car that you are using as collateral. If you fail to pay off the loan, they have rights to the title of your car, basically giving them the right to take your vehicle. You can find this loan option by doing a quick google search for, “title loans near me.” Our simple online form can also connect you to a representative who can help you get the money you need for buying a car. You don't always have to fight for what you want! Avoid the haggling that comes with buying a car. Just keep these simple tips in mind in your car search and best luck in your adventure!